After three MPs from the majority United Russia party voluntarily gave up their seats, Russian experts suggest that the country’s political system could face a new Perestroika – for better or worse. Despite MPs Vladimir Pekhtin, Anatoly Lomakin and Vasiliy Tolstopyatov resigning of their own accord, this was done in the background of a broadening anti-corruption campaign. The campaign includes legislative moves to ban top politicians from owning foreign property and automatic dismissal of legislators who fail to declare all their property and income. 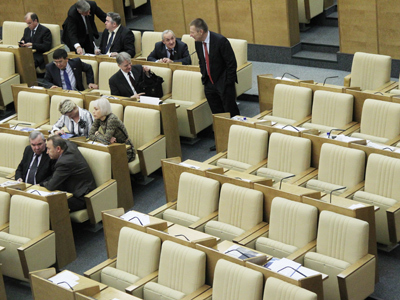 More majority-party MPs could abandon their seats in the nearest future, Vedomosti business daily reported quoting a source close to the presidential administration. The source suggested that as many as six United Russia parliamentarians might quit in the nearest future, but did not provide their names, mentioning only Vladislav Tretyak, a former legendary ice hockey goalkeeper who has also became a target of bloggers. They accuse him of owning real estate in the US and a food supplements business. However, top United Russia official Sergey Neverov said on Thursday that no more MPs were planning to resign and such issue “was not even discussed” in the party. Political analysts noted that the current situation in Russian politics was very obscure and apparently the leaders of the country developed some new rules, but have not clearly presented them to the political community. 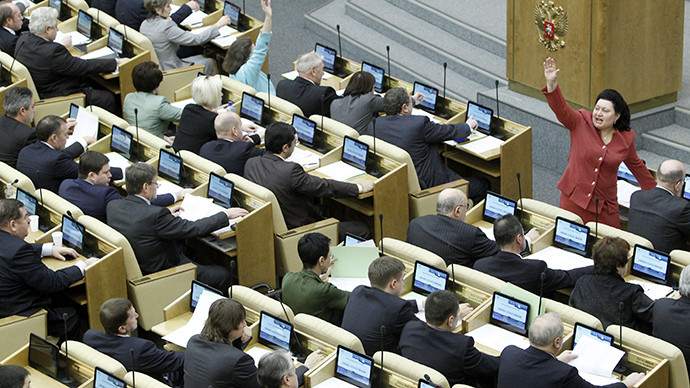 Political expert Igor Bunin wrote in his Vedomosti column that the resignations in the Duma are a signal to politicians that the authorities will no longer grant immunity or protection in exchange for loyalty, noting that a lot of Russian legislators are powerful businessmen who invested in political careers to make top level connections and assure their personal safety. Popular political expert Evgeny Minchenko also holds that the resignations of United Russia MPs were a clear signal for businessmen in the parliament that it was time to leave. 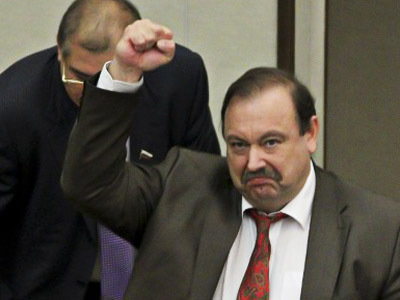 “It is a good move showing that there was no place in the Duma for businessmen and that MPs must get rid of their foreign assets,” Minchenko told Kommersant daily. “Either you are immaculately clean and you are in power, or you own foreign property and accounts but you are not in power,” the source noted, adding that this was a matter for contemplation not only in the federal parliament, but also in the government and in regional legislatures and administrations. “If there is a public request for renewal and cleanliness of the authorities, this request needs to be answered. The time has come for everyone to make a personal decision,” the unnamed official said. 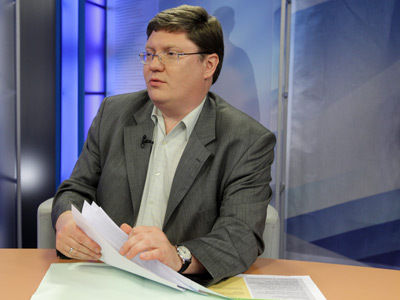 Aleksandr Morozov, chief editor of opinion website Russian Journal, says the latest events shape the new political system, but also noted it is still very obscure. He suggested that even the top leaders in the country have no clear understanding of the desired final result. “It looks very much like a tender, with various people submitting various suggestions. Some take the course that can be called the nationalization of the bourgeoisie, meaning that everyone leaves their offshore companies and all guys here be patriots not only in their rhetoric, but also hold all their assets at home,” Gazera.ru web-site quoted Morozov as saying. The analyst also said that he had inside information from the presidential administration that the current changes were not Putin’s reaction to a drop in his approval ratings registered in latest opinion polls, but a deliberate building of a completely new political system. He noted, however, that the new system will retain the dominance of a single majority party that can be both the United Russia and the newer movement of Putin’s supporters called the All-Russian Popular Front. Political scientist Sergey Markov of Plekhanov Economic University also agreed that the MPs departure marked Putin’s new course. “Vladimir Putin stated before the last presidential poll – there must be no businessmen in power and this decision is being brought to life,” he told the press. In addition, Markov noted that the scandal shows that there is nothing that the politicians can conceal from the public and mass media. “What we see is a typical example of Navalny working for the presidential administration. He is digging for various things that the presidential administration has asked the public to dig for,” Izvestia quoted the analyst is saying. (Aleksey Navalny is a popular anti-corruption blogger who in mid-February broke the story of Pekhtin’s alleged Florida real estate). Sociologist Olga Kryshtanovskaya also holds that the Duma resignations manifest the start of deep and positive changes in the entire political system. “What Putin or, let me put it this way, collective Putin is doing now is in reality the creation of a new strategy and a total reset. Yes, now those in power listen to the people and understand that if they do not listen it would only come out worse,” Gazeta.Ru quoted the sociologist as saying. “Yes, this is democratization. Opposition might argue with this, but this is so,” Kryshanovskaya stated. At the same time, Chairman of the Civil Society Endowment Konstantin Kostin said that it was too early to talk about some new course, but noted that the authorities were definitely prioritizing national interests and politicians’ loyalty to these interests. He observed that Putin had mentioned this course in his elections program, as well as in the latest address to the Federal assembly. Kostin also noted that he personally did not see Pekhtin’s resignation as part of this process, saying that the charges against the ex-MP needed to be verified and confirmed. 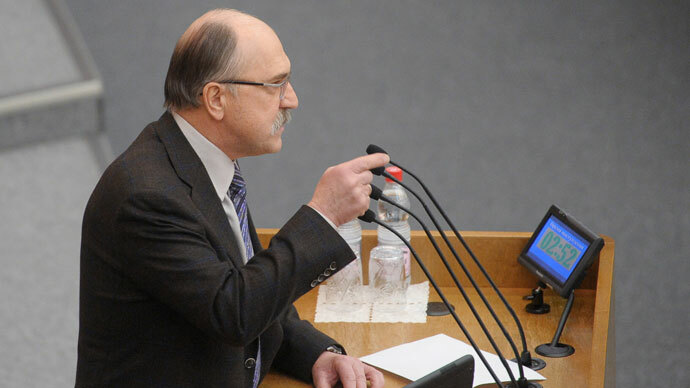 His words were confirmed by deputy Duma speaker and top United Russia official Sergey Zheleznyak, who said on Thursday that Pekhtin will remain in the top positions in the party as he is a devoted and honest man who is working well.